Turtle Clinic is located at one of the most beautiful beach in the world. 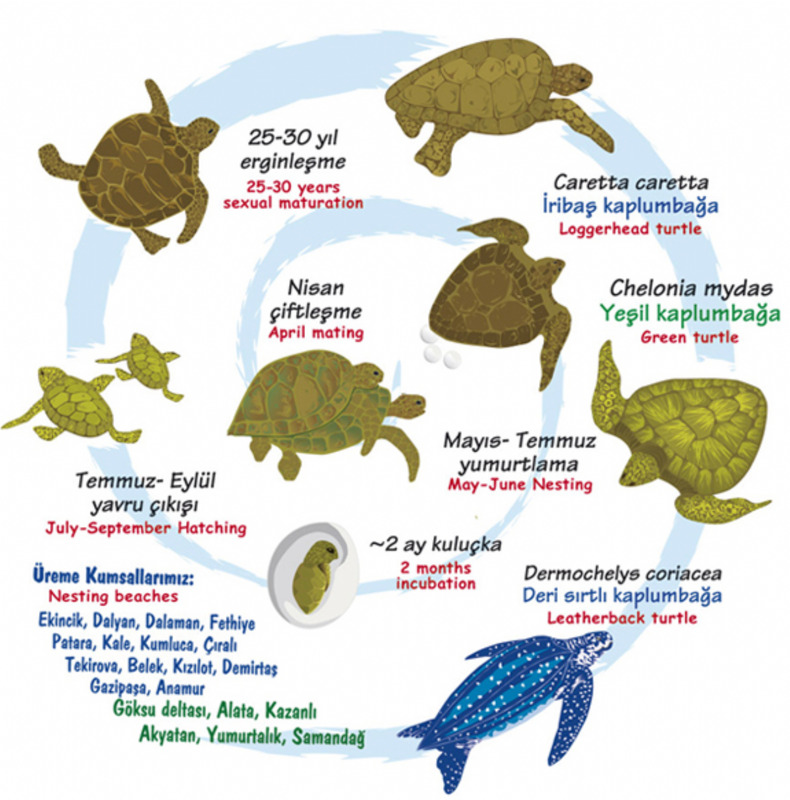 Dalyan-Iztuzu Beach is one of the most important loggerhead (Caretta caretta) sea turtle nesting habitat in Turkey. 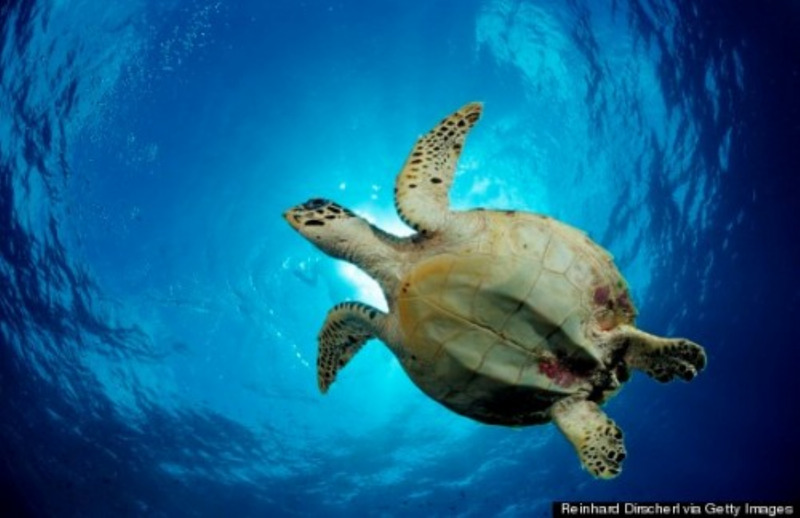 Marine turtles mate in coastal waters, lagoons or in lakes two weeks before nesting (April-May). Occasionaly, only one of the three emergences from sea ends up with succesful egg-laying and the others are 'false crawls' to find a suitable nesting place and to facilitate the egg movement through the body.They choose a site where the tidal waves will not affect on the nest and they move very slowly on land. The period of incubation lasts about two months. The young hatchlings hatch in a 1-2 days of time and wait underneath the ground until night, and then they dig their way to surface. After reaching the surface, the young hatchlings start on their journey to the sea. They use the reflection coming from the sea. And it's seen that most of the hatchlings move to different directions in the photo polluted areas. Affects by artificial lights may lead to a fatal effect on hatchlings. Their sexually mature is at the age of 25-30 years. Therefore, we do not have much information about their sexual maturity during this period of time in their natural life. Fishing nets, incidental captures, speed boats have negative effects on their life.